If your business needs labels printed for products, prices, sales items or more, it may be beneficial for you to buy a label printer instead of outsourcing your label printing to a third party. Here are some of the reasons why it is beneficial to purchase your own label printer if you print labels on a medium volume basis. Flexibility – When purchasing your own label printer you have the ability to decide when, where and how much you need printed. You don’t run the risk of over printing on label quantities in order to stick to the minimum label printing prerequisites of third party printers. In addition if you print the wrong label you are able to cease printing and start again, thereby avoiding any wastage. Efficient – Owning your own label printer means that you never have to wait for your labels to be printed and delivered. If you need labels printed you can do so there and then without the delay and hassle of waiting for a third party. Missed labelling deadlines can have far reaching repercussions such as costly expedited shipments, backorders, reduced profitability, and lost revenue. A waiting customer may decide to choose a different vendor rather than wait to receive a late shipment. Cost Effective – Due to the flexibility discussed above of owning your own printer you are able to print the quantities that you need without having to waste any labels that are unused. You are also able to cease printing if you have made a mistake on any wording or layout. Independent – Certain types of label printers come with their own keyboard and software and are therefore mobile and independent of a PC or laptop. This allows one to be far more flexible and able to print and receive labels at different offices or sites. A business is therefore not dependent on receiving labels from one location. More quality control – If you decide to do all your label printing in-house, you will gain far more control of your entire process. In highly regulated industries such as pharmaceuticals and hygiene it’s critical that labels meet stringent requirements. These labelling requirements often change but if you are able to print inhouse on an industrial label printer, these can be altered without incurring huge costs. You will also be able to print and examine each label yourself to make sure that they meet the correct requirements. 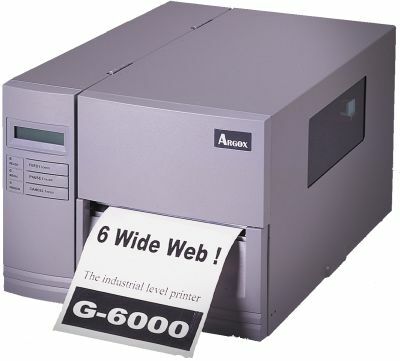 Rebsons Labels stocks and supplies a variety of Industrial Label Printers for purchase. All printers are developed and designed to the highest standards, backed by a worldwide guarantee from an international company. Call us today for pricing or information.